Welcome to this week's Playstation Network update post, where I fill you in on the latest media hitting the PSN for fans of JRPGs and other Japanese games. In my searching for new goodies in the PSN store, I found a strangely large amount of avatars, a lot of good deals on some must have Japanese Games (Freedom Wars! ), some DLC and an extremely worthwhile demo of Oreshika: Tainted Bloodlines which has recently been featured on a lot of big gaming websites. I'm really excited to try out Oreshika, it looks like a really unique game and I really just watch to see what it's gonna make my own face and lineage look like in video game form. Surely everyone is interested in seeing what a game thinks their fighting heirs would look like, amirite? Here is the list below, have a lovely week all! I love hearing your thoughts, so please comment below or send a tweet to @JRPGJungle and follow if you want to keep up the content we post. 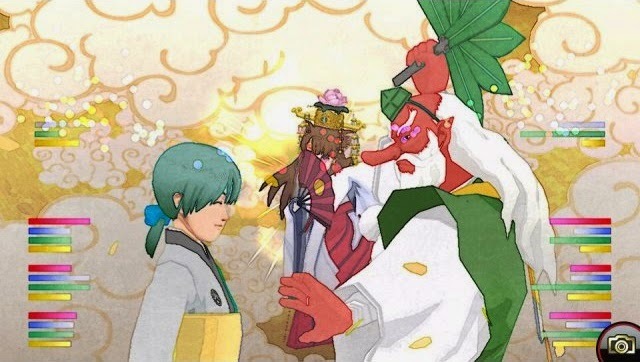 Also, feel free to leave a photo of your Oreshika clan below. :) Thanks for stopping by!